When you remove the counter-balancer gear from a standard Hayabusa crankshaft there's no point in keeping the heavy counterbalancer mechanism in the crankcase. 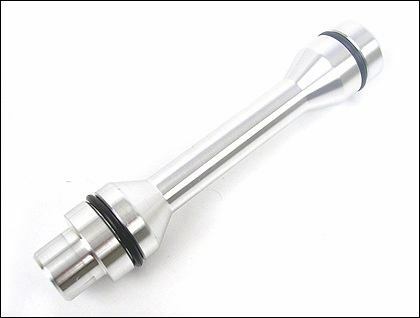 You can replace the entire balancer assembly with this lightweight billet aluminum "dummy" shaft. Remove the stock assembly and insert this shaft in its place. The shaft and o-rings block all oil passages.